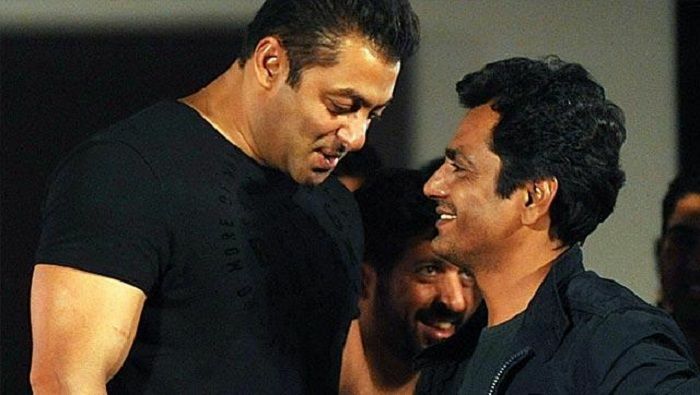 Home » Bollywood News » Will Salman Khan & Nawazuddin Siddiqui in star in Hindi remake of Kshanam? Will Salman Khan & Nawazuddin Siddiqui in star in Hindi remake of Kshanam? Salman Khan has expressed his desire to make meaningful cinema. The actor, who is currently shooting for the Yash Raj Films sports drama, Sultan, is reportedly keen to remake the Telugu thriller blockbuster, Kshanam in Hindi with Nawazuddin Siddiqui in negative lead. Also Read: Sultan: Will Salman Khan find the right script for the 'meaningful cinema' he wants to do? "Salman caught a private screening of the thriller, Kshanam, with his long-time filmmaker friend Sajid Nadiadwala, and loved every minute. He's bought the remake rights." Also Read: Salman Khan to start shooting for Kick 2 in 2017. But who will play the female lead? "Casting is currently underway. Bhai has his eyes set on his favourite co-star in recent times, Nawazuddin Siddiqui (Kick, Bajrangi Bhaijaan) to play the antagonist. The film requires a child as well. We'll have to wait and watch if the Bajrangi Bhaijaan cast reunites once again,"